As Omar never tires of reminding me, it takes a lot more than six rolls of tape for a project like this one. 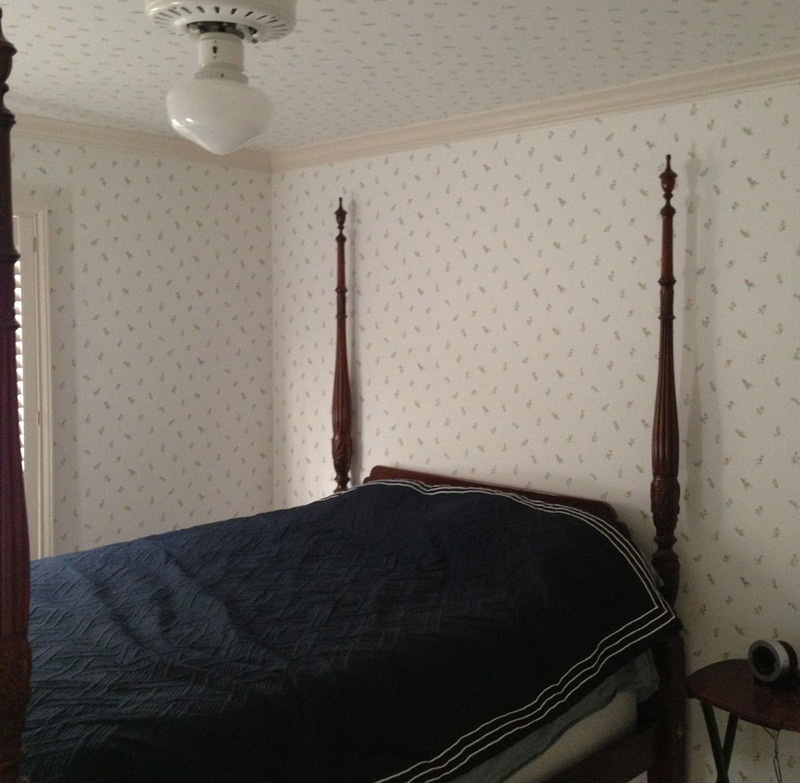 Today, in addition to paint in the Master Bath, Master Closets, and various other rooms, the actual wall color was applied in the East Guest Room. The house has four guest rooms so we aren't being overly grand identifying them this way. Bedroom 03 sounds a bit too clinical for my taste. The North East Guest Room got its final wall color today. It doesn't look like much in the photo, but it is photo neutral gray and makes every color in the room really come to life. The Hammered Silver wall color was also applied in the Master Bath. The cabinetry is Burgundy. But the star of today's show is, of course, the ongoing work on the ceiling of the Master Bedroom. Really amazing. It looks as though the painters are going to finish up right on schedule, wrapping up on Monday or Tuesday. More from Austin later!